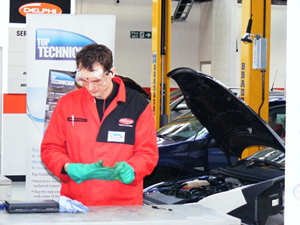 Top Technician 2014 has officially launched with the promise of a record prize fund and number of entries for next year. The first stage of the competition will see technicians undertake an initial online test, before a more advanced test await those who make it through. The entrants will be whittled down to a final six who will compete on 16 May at the Honda Institute to determine who is crowned the winner. Top Technician Project Manager Nicola St Clair, said: “Any technician from across the UK with three years professional experience under the belt is eligible to enter. It doesn’t cost a thing, and it doesn’t matter which sector of the industry you work in. “In previous years, there have been contestants from independent workshops, franchised dealerships, fast fit chains and specialist one-man-band operations all slugging it out in the final. To find out more or to enter in Top Technician 2014 visit www.toptechnician.co.uk.